Hunting for more this Easter? 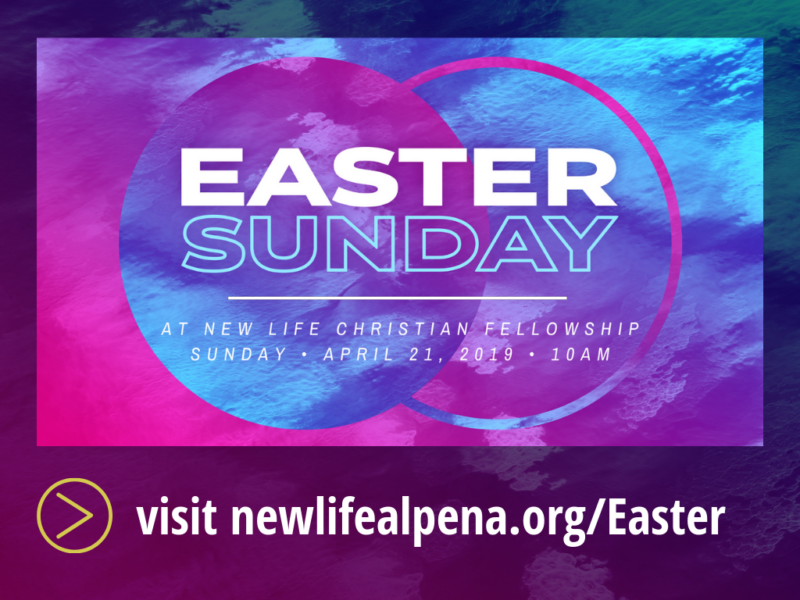 We warmly welcome you and your family to celebrate Easter at New Life! Easter is a time for reflection, remembrance and celebration. We reflect on the sacrifice of our savior, Jesus Christ; and celebrate the new life we have through His resurrection! The day's events include a blend of traditional and contemporary worship, a Christ-centered message, an opportunity for personal prayer, and a FREE Ham Luncheon following service. If you are a new to New Life, no need to bring anything- we'd just love to serve you! The creche will be available for nursing moms with babies younger than one, and they are welcome in the sanctuary during service.